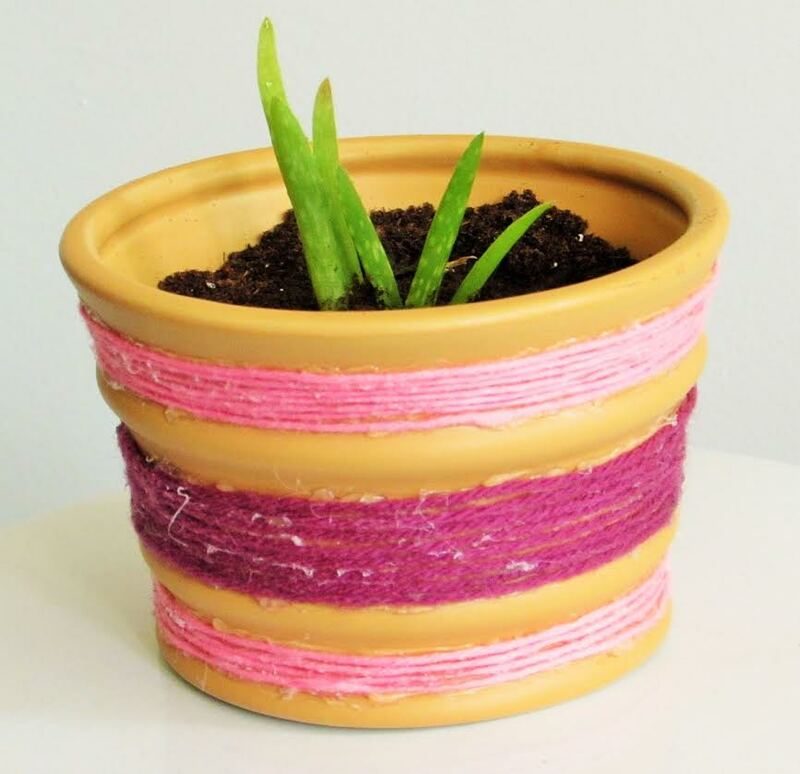 August Craft Challenge – decorate with a terra-cotta plant pot! 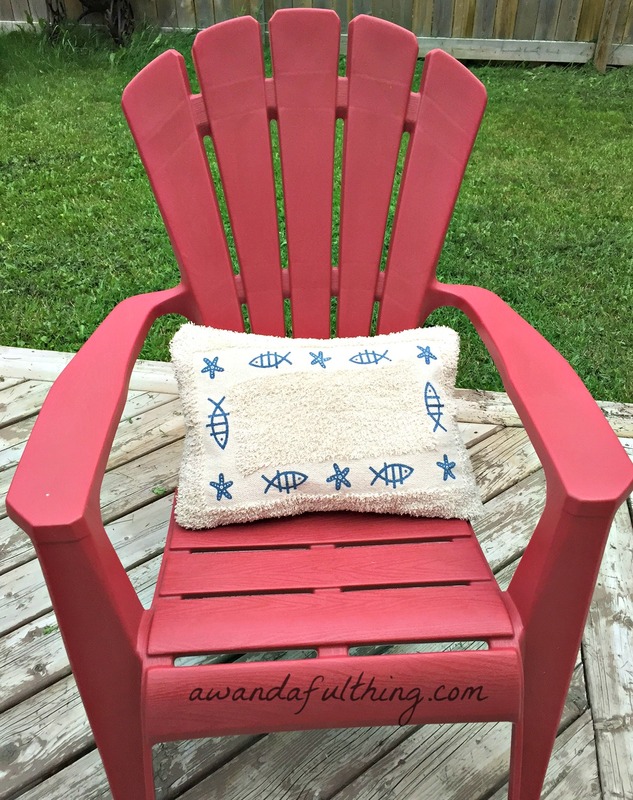 Last month was our fabric challenge and the picture to the left shows one of the small pillows I made to use on my Adirondack chairs. This month our challenge item was a terra-cotta plant pot. I decided to make candle holders as in my world you can never have too many candle holders. Do you agree?? This project was so quick and easy and the combination of colors could be endless. For this project I used a cream color craft paint. It only took two coats. 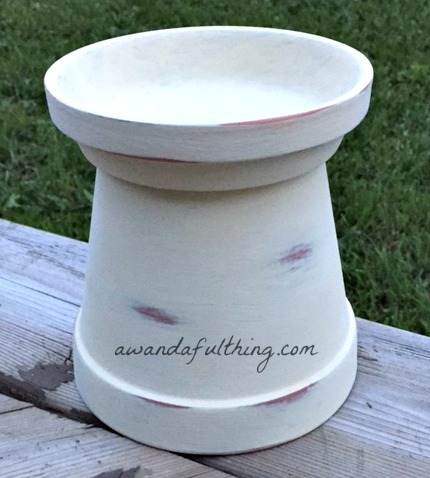 Once it was dry, I sanded the areas where I wanted a distressed look. I used E6000 glue to attach the saucer to the top. It just needs a candle and it’s ready to use. Be sure to Mark Your Calendar for September when we will be crafting or creating with mason jars. 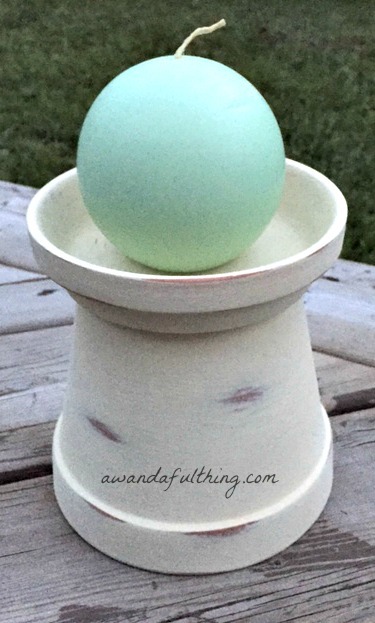 This entry was posted in Decorate, Make and tagged Blog, candle, challenge, cheap, Crafts, Decorate, DIY, dollar tree, easy, fast, free, friend, ideas, July, paint, pillow, plant, plant pot, pot, simple, tablecloth, terra cotta plant pot, yarn. Bookmark the permalink.